On January 29, 1949, Mayor Rhodes authored a letter addressed to Dr. Thomas C. Holy, head of the "Commission for New Residential Schools for the Blind and Deaf " (the "building commission"). 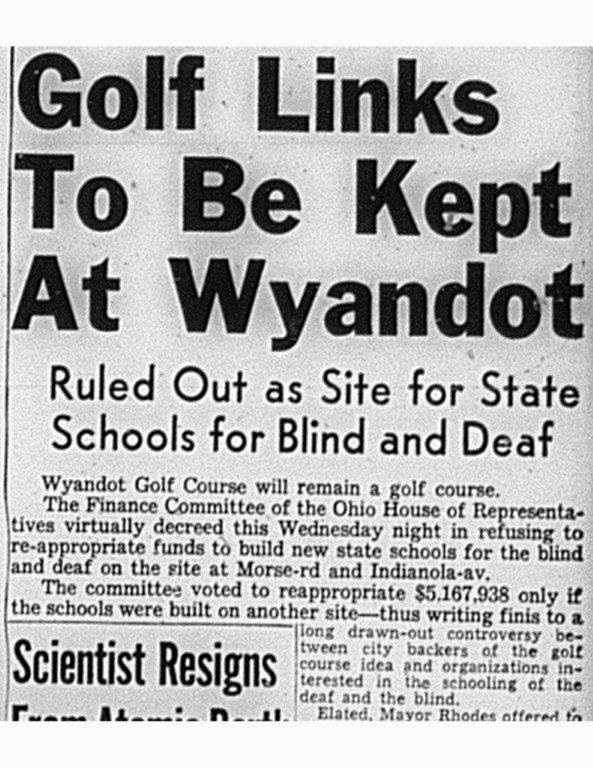 Rhodes urged Dr. Holy to take steps to have the building commission revisit its decision to locate the deaf and blind schools on the Wyandot course, and consider building the facilities elsewhere. 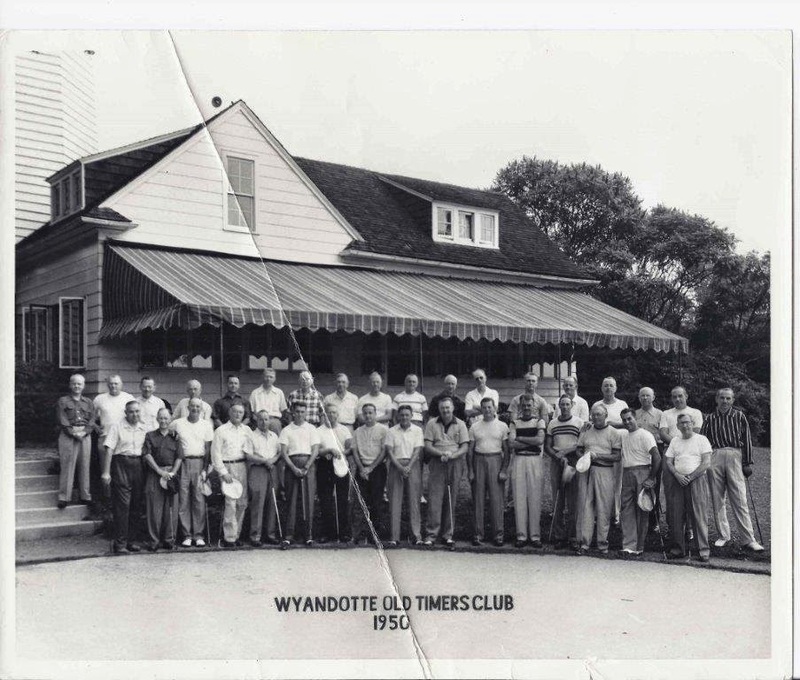 In making his pitch, the mayor extolled the virtues of Wyandot, and its importance in meeting the needs of the city's municipal golfers. "This [Wyandot] is one of the finest golf courses in this section of the United States," Rhodes wrote. "It is vitally needed by the people of metropolitan Columbus as a municipal golf course. It has long been our dream that such a golf course might be added to our parks and playground system." Rhodes further extended an offer on behalf of the City to buy the Wyandot property from the State for $100,000- the same price the State had paid the Glen Burn Partnership for the property in 1944. Realizing that his plea would have no chance of success unless a suitable alternative location for the schools could be expeditiously found, the mayor advised Dr. Holy that he would do whatever he could to help the building commission find a new site for the schools. Rhodes copied the state representatives from Franklin County with this letter. He was to later assert that he did so at the behest of attorney Dale Stump, counsel for the Ohio Federation of Organizations of the Deaf ("OFOD"). Stump's involvement was later to be the subject of controversy. Holy responded that the building commission would be willing to "discuss a trade" of the Wyandot site, But since it was the Holy led building commission that had initially picked the Wyandot site for the schools' location five years previously, he and his fellow commission members were far from eager to restart the entire process. Moreover, Rhodes's $100,000 offer was probably perceived as a lowball one. Recent real estate appraisals had established the value of the property at $300,000 to $350,000. Furthermore, the building commission had already spent roughly $230,000 for site- specific engineering and architectural plans and drawings which would be money down the drain if the building commission acquiesced to the mayor's request that the State jettison its plans to erect the school facilities on the Wyandot property. Dr. Holy had done his best to exercise prudence regarding the $5.5 million budget appropriated by the Legislature for building the schools. He had delayed the start of construction after receiving the plans in 1947, waiting patiently for exorbitantly high post-war construction costs to decline to the point where the entire project could be built without exceeding the budget. Now, with those costs finally receding some, he was anxious to get the project underway. Dr. Holy had to be frustrated with Rhodes's meddling. But it would not be good politics to blow-off the popular mayor whose name was being bandied about as a potential Republican candidate for governor in the upcoming 1950 elections. So regardless of what his private thoughts may have been, Dr. Holy publicly expressed a willingness to entertain alternative sites for the schools. As the savviest of politicians, Jim Rhodes no doubt realized that his leverage over the building commission was limited, and that it would be difficult to cause it to reverse course by himself. To save Wyandot, officials from other branches of state government would need to apply pressure also. To the mayor's delight, a fellow Columbus Republican serving in the Ohio House of Representatives, stepped forward to help Wyandot's cause. Rep. Robert Shaw sponsored several legislative bills designed to torpedo efforts to build the schools at the Wyandot site. His first proposed measure, House Bill 528, recommended for passage by the House Judiciary Committee, would have authorized the State to sell the golf course property to the City of Columbus for $135,000. Shaw justified this by arguing that the State had paid $100,000 and invested an additional $35,000 (ignoring the much higher engineering and architectural expenses already incurred). In doing so, Shaw took pains to mention that he was not opposed to the construction of new buildings for the two schools. The "present blind and deaf schools could be razed and new buildings constructed on the present site or on other sites acquired." Rep. Shaw parroted Rhodes's argument regarding the importance of the Wyandot golf course to the community. "There is plenty of land in Columbus and Franklin County for the schools without taking our best golf course," said the lawmaker. Shaw also attempted to introduce an amendment to an appropriation bill which would have required the "new buildings to be constructed on the present location of the present blind and deaf schools." Dr. Holy was aghast at this gambit. He promised that his commission "would oppose as vigorously as possible," any such measure. Dr. Holy expressed the view that the schools current locations were "...too small. They are in congested areas where traffic is a hazard to the handicapped. Modern trends in treatment of the blind and the deaf stress broader programs of vocational and agricultural training. More space is required." The Finance Committee rejected Shaw's proposed amendment. But Shaw's crusade to assist Rhodes and preserve the course was far from over. He then sought to persuade the House Finance Committee to recommend the re-appropriation of funds for school building construction on the condition that the facilities not be built on the Wyandot property. When the committee agreed to this condition, it seemed that the fight to save the course had finally succeeded. The Citizen's June 23, 1949 headline declared that the golf course advocates had carried the day. An "elated" Mayor Rhodes praised the committee's decision and indicated he would "redouble his efforts to find suitable sites for the schools." Rhodes announced that the City "will co-operate with the schools' building commission in every possible way." But the mayor was well aware that the Finance Committee's recommendation was not final, and that the General Assembly could reject it. The likelihood of such a rejection would increase significantly if Rhodes could not quickly find a suitable alternative site for the schools. The question of whether the building commission should be permitted to proceed with their plans to build the schools on the golf course became a hot topic in the newspapers. Tellingly, none of the articles or editorials praised the Finance Committee's recommendation that the building commission find a new site. Instead, they expressed alarm at the deplorable conditions of both schools, and urged immediate action. A June 28, 1949 editorial in the Ohio State Journal labeled the existing schools as "old, dilapidated firetraps"... "with the threat of horrible disaster hanging over them." It was stated that, "the State of Ohio cannot afford to let the matter drift...The Legislature ought to make every provision it can for getting the schools built as soon as possible." 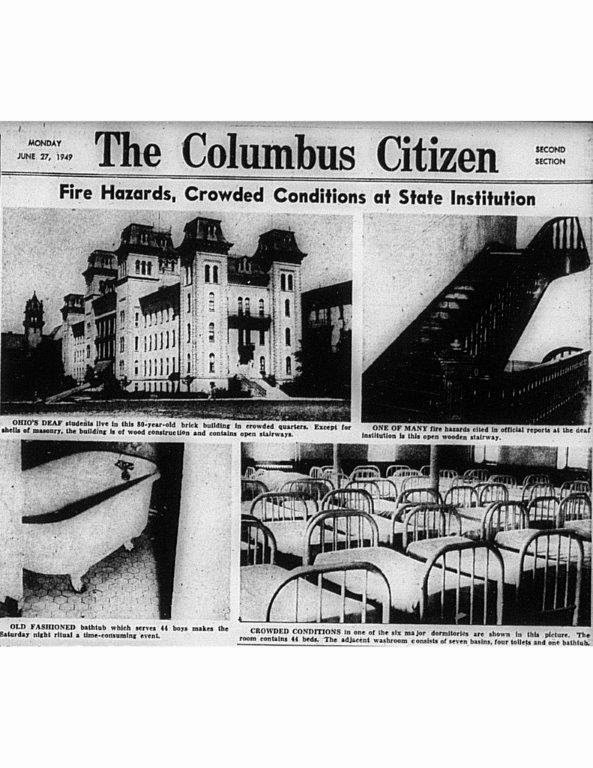 The Columbus Citizen ran two articles on June 26 and June 27 highlighting the two schools' overcrowded conditions and fire hazards. Both articles graphically depicted the schools' Dickensian environment. The article pertaining to the School for the Deaf included a photograph of an ancient bathtub which 44 boys were forced to use for their Saturday night baths. An inspection of the school's dormitories indicated that the distance between the beds ranged from only 12 to 15 inches. Adding to the danger of fire was the building's lack of fire escapes. The Citizen reporter who visited the School for the Blind, listed numerous deficiencies rendering the facility antiquated and unsafe: "Metal rods bolted to inside walls to keep the outer limestone wall from toppling....The top three floors of the six-story structure condemned- 15 years ago....Boilers in the heating plant which were discarded 25 years ago at the Ohio Penitentiary....An air shaft running through the center of the building which serves as a potential draft for fire." On Monday, June 27th, the building commission passed a resolution which ratcheted up the political heat on all concerned. The resolution reaffirmed the commission's selection of Wyandot as its first choice for the schools' location. The resolution further indicated that if Wyandot was not available, then locations outside of Columbus would have to be considered. Dr. Holy placed the blame squarely at Rhodes's feet. The mayor had pledged to find new sites, but had not produced any. Thus, said Holy, "it seems unlikely suitable sites can be located in the Columbus area." Holy disclosed that three other communities had submitted proposals to house the facilities. In response to that salvo, Columbus's labor and civic leaders joined the fray on Tuesday, June 28. Al Vesy, executive secretary of the Columbus Federation of Labor, spoke out vigorously in favor of keeping the project in Columbus: "Labor leaders here definitely want the buildings for new schools preferably in Columbus...The two schools furnish 200 jobs for employees." By threatening to move the schools outside Columbus, Dr. Holy had cleverly created a sticky problem for the mayor. Rhodes's bread-and-butter issue throughout his storied political career was job creation. Rhodes would have found it unacceptable to play a part in causing existing Columbus-based jobs to migrate elsewhere. Desperate to find sites for the schools that would avoid such a calamity, the mayor enlisted the help of Columbus Real Estate Board president George Tifft. In short order, Tifft found two potential properties in the northern section of Franklin County, but outside the city limits. A third site in the southwestern portion of the city was also a possibility. Tiftt gave assurances that Columbus utility services could be carried to all three sites, and that a 15 person committee he had formed "would be called to scour the county," to unearth more locations. At the end of June, Jim Rhodes made a compromise offer to Dr. Holy: the City would offer property it owned on Trabue Road (later to become the Raymond Memorial Golf Course) as the new site for the schools. City Hall officials indicated, "it would be cheaper to buy Wyandot for $125,000 than it would be to develop the Trabue Road site into a suitable course." But Holy derisively rejected the offer out of hand declaring, "Wyandot is a perfect spot for the schools. It has everything. The commission has looked at many sites and the best we have found is Wyandot." Dr. Holy's new-found intransigence probably came about because local press coverage and political forces were now swinging in the direction he favored: building the schools at Wyandot! Given the mounting public pressure to build new schools, Dr. Holy could effectively "run out the clock" on other alternatives, by "just saying no" to any sites found by Rhodes and Tifft. Entities representing the interests of the deaf and blind had heretofore stayed mostly in the background. But on July 1, the OFDF weighed in full-force in favor of building the schools at Wyandot. The OFDF's attorney, Dale Stump, became the primary spokesperson for the group. Stump was far from a shrinking violet, and once he became embroiled in the controversy, his actions and statements were pointedly confrontational. His first move was to write George Tifft recommending that his committee would be better off seeking an appropriate site for a new municipal golf course rather than looking for a new site for the schools. Stump opined that the State would be ahead financially if it built a new course for the city and proceeded with its plans to build the schools at Wyandot. He reasoned, "the State could save money by spending $100,000 for developing a new golf course site for Columbus instead of turning over Wyandot and losing $237,000 the State has invested in developing Wyandot for schools." Heartened by the OFDF's support, the building commission immediately threw the gauntlet down to the General Assembly and voted to proceed with plans to erect the schools at Wyandot notwithstanding the Finance's recommendation to the contrary. The Citizen remarked that the commission "apparently is ignoring the committee action by proceeding with its plans." The OFDF was now calling out Mayor Rhodes for trying to take advantage of the State. An OFDF spokesman warned: "There is a serious danger that the mayor of Columbus in his enthusiasm to get a golf course for a fraction of its real value will try to high-pressure the state into accepting an inferior site in exchange." In a meeting of the OFDF in Cleveland on July 4th, the organization raised the acrimony to new heights by passing a resolution contending that, "Rep. Robert R. Shaw is conniving with Mayor Rhodes to grab the site for golfers at the expense of handicapped children." In an eleventh hour maneuver, a delegation from Akron consisting of representatives from rubber companies and labor organizations approached Ohio Governor Lausche on July 5th urging that the schools be located in Summit County. Rep. L.C. Washburn indicated Akron had "at least three sites believed suitable, including one belonging to the county, which would be offered gratis." Paul Fessenden, executive secretary of the Akron CIO, made a strong pitch for the Akron site: "Akron is the geographical center of the largest concentration of deaf mutes in the country outside of Pittsburgh." 1385 of them were "employed there mostly in the rubber industry." Though a golfer, and a very good one, Governor Lausche did not react to Akron's proposal enthusiastically. He responded that, "I am not now in a position to subscribe to your request. I do know the deaf are going to fight for Wyandot. I can understand how they feel to have the site promised them for four years and their hopes blasted." He further expressed his preference to have the schools "centrally located in the state to be available to all handicapped persons." A final showdown between Mayor Rhodes and the OFDF's Stump took place at City Hall on Wednesday July 6th. Fittingly, the meeting was held at "high noon" and bitter accusations were exchanged between the two men. Rhodes indignantly claimed that it was Stump who originated the "idea to stop the state from building the new schools at the golf course," and "we [the City] never would have entered the controversy if it hadn't been at your (Stump's) insistence." According to The Citizen, "Stump lashed back with a denial and told Mayor Rhodes that the State would build the schools at the site despite the mayor's attempt to keep the golf course for the city." While full of recriminations toward Dale Stump personally, the mayor extended an olive branch to the handicapped persons that Stump represented. "The land belongs to the State and the State can stick a shovel in it and start building today if it wants. Both the blind and deaf can depend upon us for co-operation. Our first interest is for the welfare of the children," said the mayor. It was clear by this statement that Rhodes had read the tea leaves and decided that he was out of viable options to save the golf course. Besides, he was being mentioned as a candidate for state-wide office, and he certainly did not want to be campaigning having to defend a charge that he favored golfers over the needs of the handicapped. The same day (July 6th), the Ohio House of Representatives, by a vote of 99 to 23, struck from the appropriation bill the condition that the schools could not be constructed at the Wyandot golf course. Rep. Shaw was not on hand for the vote as he was fishing in Canada. An editorial in the Citizen expressed the view that: "We're glad the House defeated the amendment to an appropriation bill that would have barred Wyandot as a site...Columbus needs the golf course all right, but so do the blind and deaf children of the state need new schools. Unless some just as satisfactory alternate site can be made immediately available, the State should not give up the one it already has." An editorial in the Ohio State Journal agreed with the position taken by The Citizen, but also took the opportunity to throw the embattled mayor a bone: "Mayor Rhodes is to be commended for making it clear to the Legislature that it was not the City's intention to take the site away from blind and deaf children unless those immediately concerned so desired." Jim Rhodes had sought to save Wyandot with relatively weak cards. He had played the hand dealt with his usual acumen, but it was not really a surprise that the needs of the handicapped eventually trumped those of the city's golfers. While Rhodes efforts to save Wyandot by legislative action were unavailing, he continued to promote golf throughout his long public life. 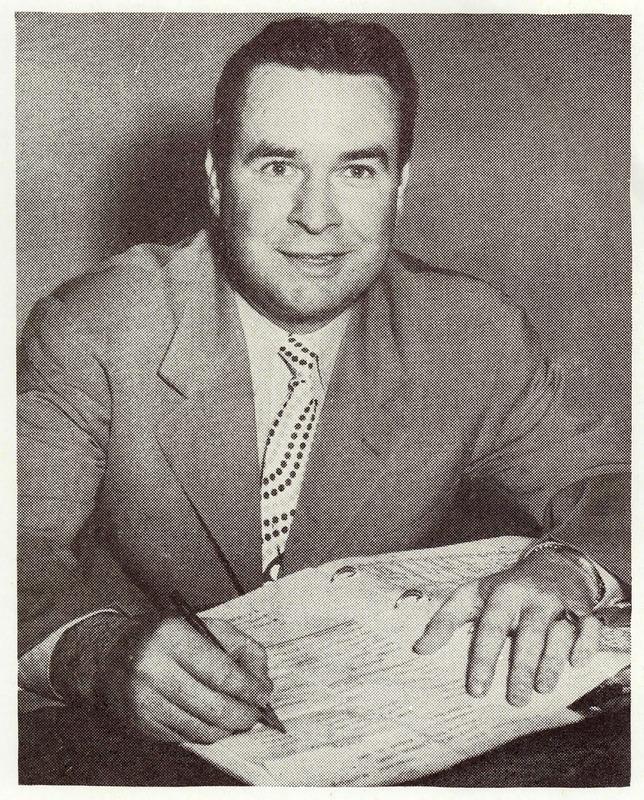 In addition to bringing the three Columbus Invitationals to town, he also was the catalyst for convincing the PGA to hold its 1950 championship at Scioto. He did not stop there. 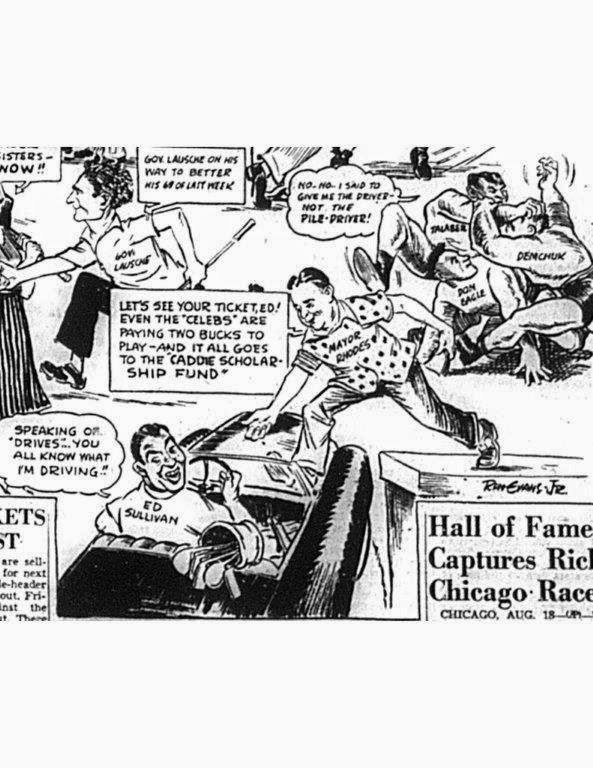 Rhodes was a great supporter of caddy scholarships, and he held an annual caddy tournament in Columbus for their benefit. The festivities included a pro-am event loaded with celebrities and star players. The 1951 benefit event at Brookside featured the likes of Ed Sullivan, Perry Como, Dizzy Dean, Sam Snead, Jimmy Demaret, Lawson Little, Lloyd Mangrum, the glamorous golfing sisters Marlene and Alice, and wrestler Chief Don Eagle. 7,000 spectators enjoyed the action. Later, Rhodes, a low-handicap player in his own right, became a fixture at Jack Nicklaus's Memorial Tournament at Muirfield Village. Whether paired with President Ford, Bob Hope or other famed personages, the four-time governor always made the featured foursome of the pro-am. He received numerous accolades for his contributions to golf. In 1981, he was named the recipient of the American Society of Golf Course Architects' "Donald Ross" award. Given his persistent, though unsuccessful effort to save a classic Ross course, the honor seems especially fitting. Finally free of interference, the building commission commenced the process of entertaining bids for construction of the schools at Wyandot. This was a time-consuming process and the State permitted the City to continue operations at the golf course until the close of the 1950 season. Knowing the end was near, the self styled "Wyandot Old-timers" got together for one last round at the old course in the late summer. It had to be a bittersweet reunion for the old gang. At summer's end, construction crews moved in and began taking the course apart. According to an article in The Citizen, "they ripped up thousands of feet of the intricate watering system, dug huge holes in the middle of several fairways, and tore the furnishings out of the clubhouse." The City's lease was formally cancelled in November, 1950. It seemed certain that no more golf would be played at Wyandot. But this great Donald Ross-designed course which had survived numerous threats to its existence, was not quite ready to say goodbye!